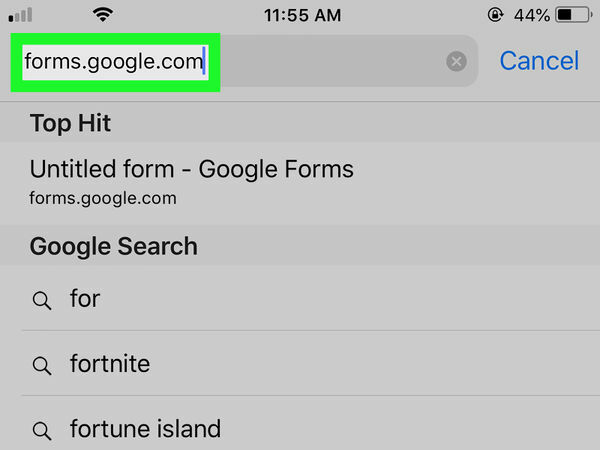 This wikiHow teaches you how to create, customize, and share a new questionnaire form on Google Forms to collect information about a certain subject from your contacts, using an iPhone or iPad. 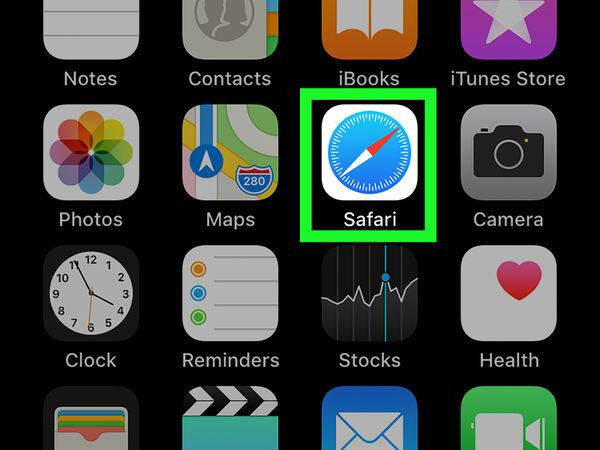 The Safari icon looks like a blue compass. You can find it on your home screen or in an app folder. You can also use a different internet browser like Firefox, Opera or Chrome. google.com in your internet browser. Type into the address bar, and press the blue Go button on your keyboard. This will open a new, empty form for you to customize and share. If you're not automatically logged in, you may be prompted to sign in with your Google account here. 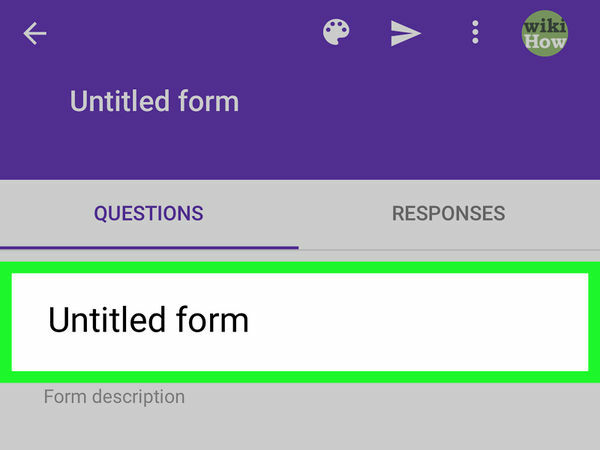 Tap the Untitled Form heading at the top of your new form, and enter a new title for your form. 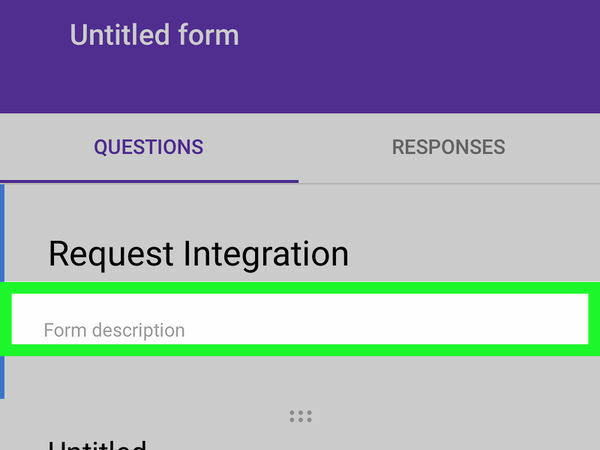 Tap the Form description field below your title at the top, and add any explanations or descriptions you think might help your contacts answer your form. This step is optional. 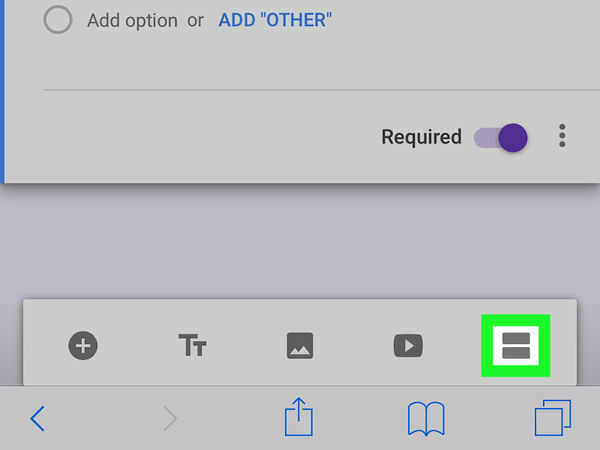 If you don't think you need a description or you're just short on time, you can skip this step and publish your form without a description. 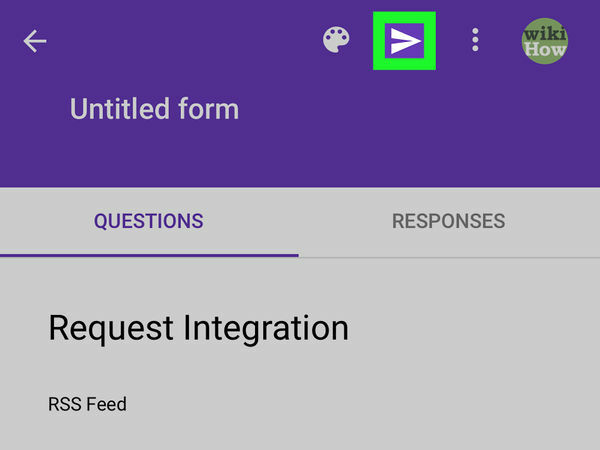 Tap the Untitled Question field below your form title and description, and enter your first question here. Tap the drop-down menu below your first question, and select the kind of answer you want your contacts to submit here. The default answer type is Multiple choice. If you select this or Dropdown, your contacts will be able to select only one answer for each question. 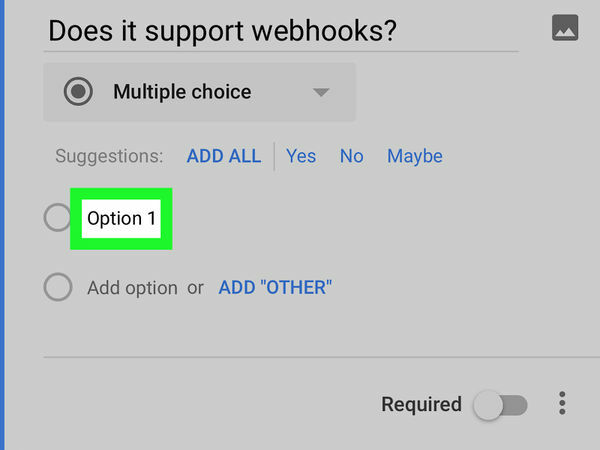 If you want your contacts to be able to select multiple answers to your question, select Checkboxes here. 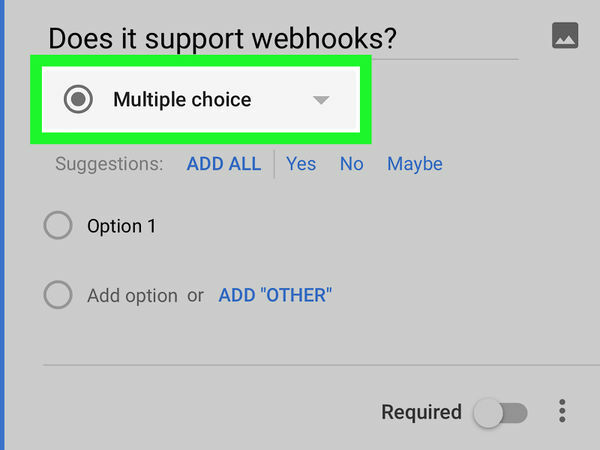 You can also select Multiple choice grid or Checkbox grid if you want to create a grid of options for your contacts to choose from. If you select Short answer or Paragraph, your contacts will need to type in their own answers to the question. If you select File upload, your contacts will need to upload a file from their computer as an answer. Linear scale will ask your contacts to select a number on a range of scales. If you select Date or Time, your contacts will need to provide a date or time as their answer. Tap Option 1 below your question, and enter the first answer option to your question here. You can add more options here by tapping Add option at the bottom of the question. Tap the "+" icon in the lower-left corner of your screen to add a new question. 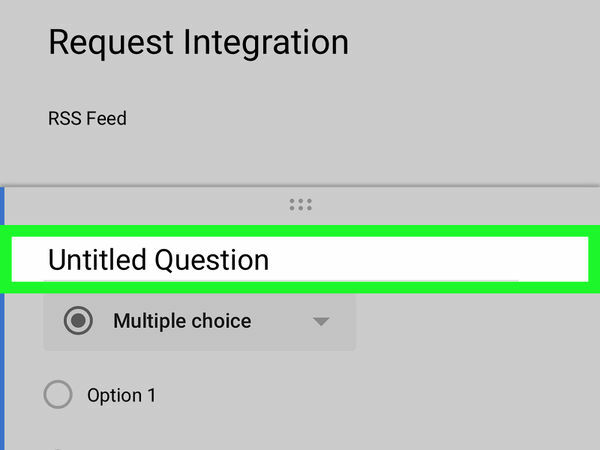 You can select a different answer type for each question on the form, and customize all the options. Slide the Required switch to below any question to make it a required question. If a responder doesn't select or enter an answer to a required question, they won't be able to submit the form. Tap the "TT" icon at the bottom of your screen to add a floating text box to your form. You can use this text box to provide disclaimers or more information to your form's prospective responders. Tap the icon at the bottom to insert an image file to your form, or the Play button icon next to it to insert a video. You can upload an image from your Camera Roll, or import an image from a URL web link. 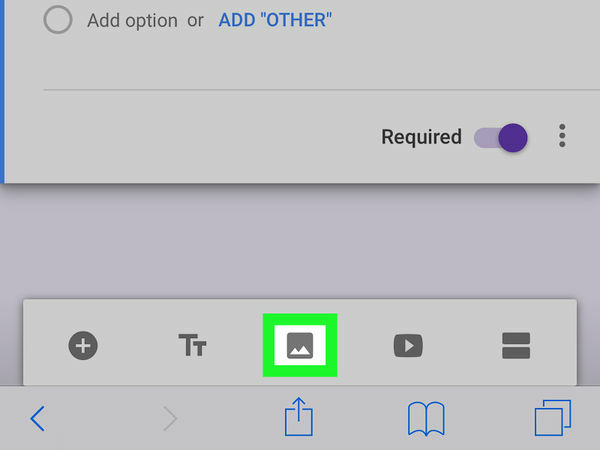 If you're adding a video, you can search and find a video on YouTube here, or paste a link to import a video from another web page. 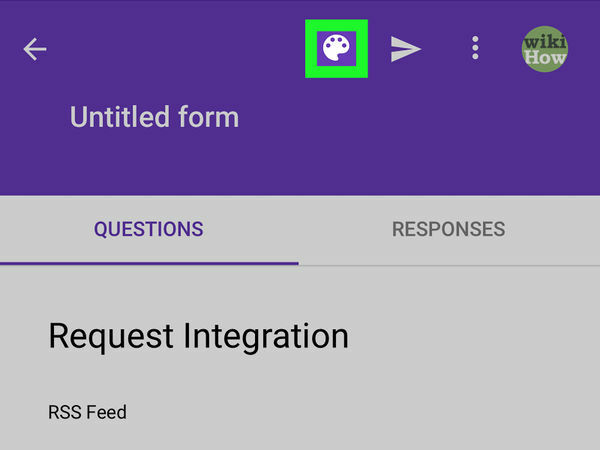 Tap the two horizontal lines icon in the lower-right corner of your screen to insert a new section in the same questionnaire form. You can use different sections in the same form to group together questions that focus on a certain subject. 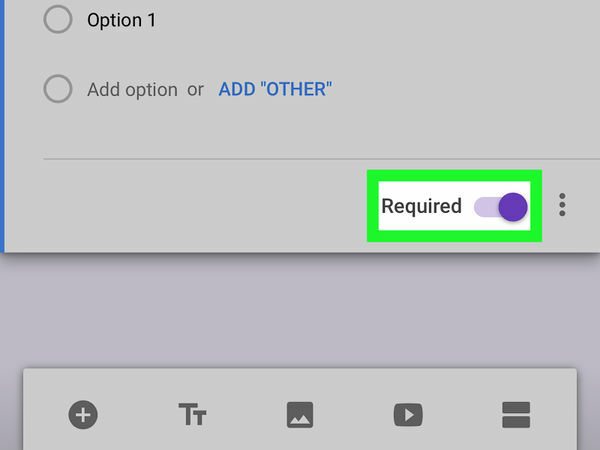 This will open a pop-up window of different colors, and allow you to select a color theme for your form. Alternatively, you can tap the icon here, and select or upload an image to use as your form's theme. This will save your form, and allow you to share it with your contacts. Here you can share your form via email by entering your contacts' emails and tapping SEND at the bottom. 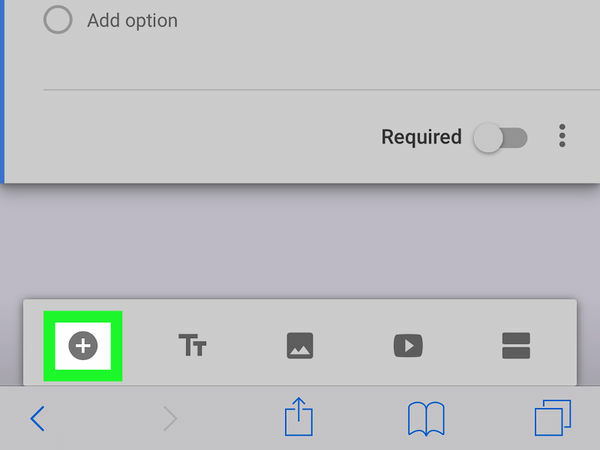 Alternatively, you can tap the chain icon at the top of the page, and copy the form link to share it via message or social media.